As today is International Human Rights Day, I’ve been reflecting on what a privilege it has been over the last six months to write for a website that gives voice to the human rights abuses that remain forgotten by the mainstream media. 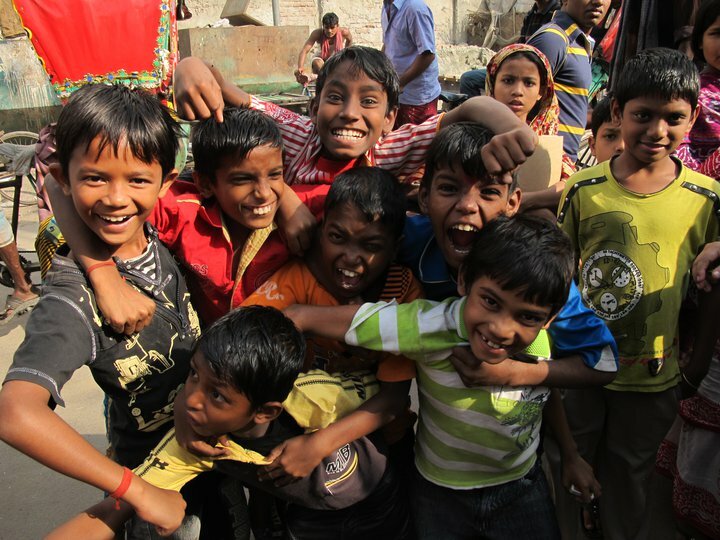 WVoN stories about the Dalit girl whose fingers were chopped off by her molesters, or the dog that was ex-communicated for touching a Dalit woman, raise awareness of an issue which remains largely ignored in the West – the oppression of Dalit people, one of the most severe and forgotten human rights abuses of the 21st century. For those who know little about the discrimination Dalits face, strict caste structures in some Asian countries place Dalits at the very bottom of society – they are ‘untouchables’. Literally living as outcasts, the vast majority of the world’s 250 million Dalit population face extreme poverty, without land or opportunities for better employment or education and are amongst the world’s poorest and most excluded people. Notions of purity and pollution have led to a discrimination which labels Dalits ‘unclean’ and most are consequently assigned the jobs that nobody else wants to do, including sweeping the streets, burying the dead and manual scavenging (cleaning human excrement from dry toilets by hand). Doubly discriminated against because of their caste and their gender, Dalit women have found themselves to be on the very bottom rung of the lowest ladder in this rigid social hierarchy. Multiple layers of disadvantage have left the vast majority of Dalit women illiterate and a staggering 83 per cent of Dalit girls drop out of school. In my day job, I work to promote the More Women More Power campaign, which seeks to give voice to some of the world’s most marginalised women, many of whom are fighting to change their own lives for the better but are struggling to be heard against deafening discrimination. We have seen first-hand how the already-imposing barriers of gender and caste have combined, presenting an almost insurmountable challenge for those Dalit women who are determined to deliver a better life for their daughters. And so it has been my privilege in the run up to International Human Rights Day to manage a project that sheds some light on the wonderful and inspirational work done by the Dalit Women’s Forum (DWF) in Bangladesh. 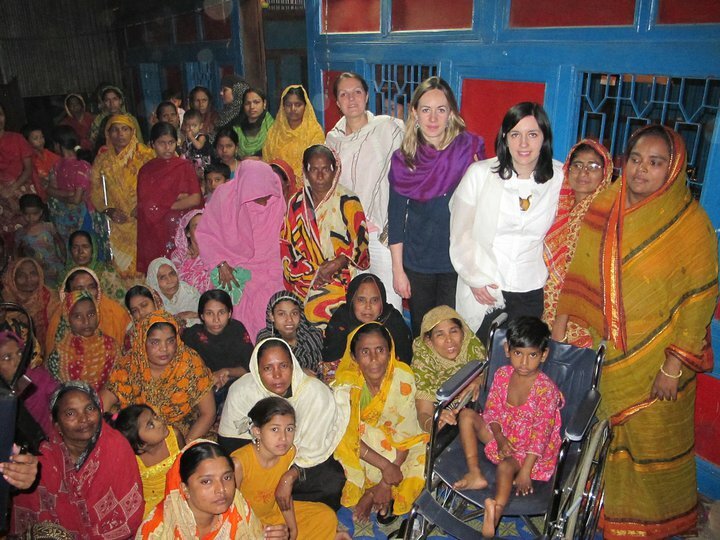 To learn more about the work of the DWF, this December One World Action travelled to the Dalit colonies of Dhaka in Bangladesh with two More Women More Power supporters -Claire Leigh, a policy advisor who has worked to advise the UK government on international issues, and Bridget Phillipson, a UK MP and passionate women’s rights campaigner. In Bangladesh, we met members of the Dalit Women’s Forum who have swum against the tide of discrimination to finish school. They are now role models, community leaders and are teaching the next generation to follow in their footsteps. The Forum is further providing training in making and selling candles and garments to its younger members, helping them along the way to financial independence. In short, these women are tackling the prejudice that has been keeping them in poverty, taking back power and working to change their own lives for the better. For women that started out on the bottom rung of the lowest social ladder, this is no mean feat. But an even bigger challenge for the Dalit women of Dhaka is to ensure that their stories are heard by distant decision-makers in Whitehall, the European Union or the United Nations, whose thinking and policies so often shape the lives of the most vulnerable people on the ground. Women like Bridget Phillipson MP and Claire Leigh often have the ear of those in power and can share the experiences they have gained this month with those who can really make a difference. But we mustn’t forget that almost all of us in the West are in relatively powerful positions. We have access and resources that are barely imaginable to women in the slums of Dhaka. We have a vote and most of all, we have a voice. This International Human Rights Day, I urge you to use yours to stand up for those around the world who are struggling to be heard. Join Claire, Bridget and I in supporting the More Women More Power Campaign. As the old saying goes, just as it is easy to break one stick, it is easy to silence one woman who is speaking out for her rights. Ever tried to break a stick when it is bundled together with a hundred others though?